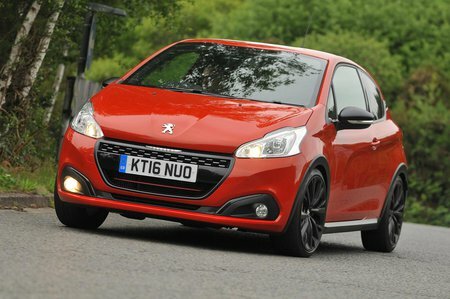 Peugeot 208 1.2 PureTech 110 GT Line 5dr EAT6 2019 Review | What Car? What Car? will save you at least £1,435, but our approved dealers could save you even more. Even larger 17in alloy wheels do the 208’s ride no favours, while climate control is another want rather than need. Electric rear windows on five-door models is attractive, but again something you can add to lesser trims for relatively little money. The various sporty styling upgrades look great but if you’re on a budget, as most small car buyers are, we’d avoid. Has more than enough power and torque for town and country work, but we’d stick to the cheaper Puretech 82 as you’ll save cash buying and running it, and won’t notice a massive difference in performance.